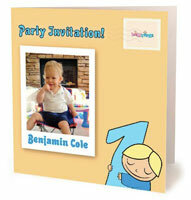 Picture Perfect Cards for Proud Parents - create your own card now! Picture Perfect Cards for Proud Parents – Create Your Own Now! Thank you so much for my baby cards. They are wonderful, they are fantastic quality and I would not hesitate to use you guys again. I have now handed out all of my baby cards I had printed, and the feedback from people was amazing, everyone commented how lovely they are and felt it was a very personal way to thank them because the message written in the card was my words not a standard greeting.. Well done on a great product! Hi team, we loved your product, price and choice. The cards arrived really quickly and everyone has loved them. I am sure we will be using you again and friends have asked about your cards too- because they thought they were great. Thank-you so much, I am glad I used you. Love the thank you baby cards I ordered! They turned out fantastic, will recommend to friends & use you again! 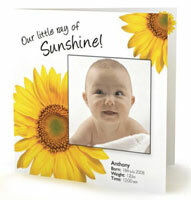 Could not fault this service provided by baby cards even when you are asking me too. Starting from the beginning the software package was simple and easy to use and the way we were always informed about the processing of our birth cards was excellent. Upon delivery the packaging was perfect and could not ask for it to be any better. Good job. Would definitely recommend to others. What fast service! I was totally impressed with the speed and the quality of my cards. Thanks for making it so easy.